By 2023, the use of chatbots will bring $11 billion in combined cost savings for the retail, banking and healthcare business sectors – for the delivery of new services and as a replacement for customer service representatives (an increase from about $6 billion in savings in 2018). Retailers will gain the most from chatbot technology – with estimates that by 2023 over 70 % of chatbots accessed will be retail based. The total impact with chatbots will reach $112 billion by 2023 from cost savings, upselling, marketing and cart recovery through the use of chatbots as automated agents, with e-commerce transactions, etc. Businesses and Consumers in the three sectors will save more than a combined 2.5 billion hours by 2023. These savings will come from reducing the time spent on customer service calls as well as cutting the response and interaction times by phone and social channels. be able to generate revenue, build brand value, personalize the User experience, etc. have the ability to – quickly answer Customer questions, provide additional product insights, solve various issues for shoppers, mitigate shopping cart abandonment, accommodate different personality types, operate consistently and 24 X 7, etc. This and other research points to a bright future for chatbots with the global market predicted to grow 24.4 % during the next four years, and self-service apps will drive adoption, according to a report by Research and Markets. As well, Research firm Gartner predicts that about 25 % of Customer Service and Support Operations will use virtual assistants or chatbot technology for customer engagement by 2020. According to a recent survey of 3,000 U.S. consumers conducted by Mastercard and Mercator, 66 % of consumers now use voice assistants or messenger / text-based chatbots – with 21 % of people actually making purchases through the technology. 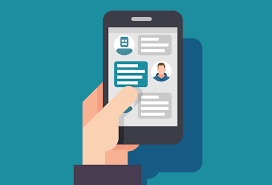 In the way of insight, while chatbot technology first took hold via existing messaging applications (ie: Facebook Messenger), organizations are expected to integrate chatbots with their current applications (at the desktop and in mobile) – to extend the capabilities of their information services. Further, with some chatbots exuding personality (ie: the Taco Bell chatbot “TacoBot “) – is jovial and witty in answering questions and patiently – that uses a messaging application through the Slack platform. In another example at the Las Vegas Mall – The Miracle Mile Shops at Planet Hollywood Resort & Casino – has launched Jules, a chatbot with a “witty sassy and trendy personality” to interact with the mall’s “chic and lively” shoppers. Jules converses through Facebook Messenger – with a relaxed, judicious approach. And when a chatbot utilizes AI there is the ability to determine context and build long-term trust – that is forged via machine learning and conversational design.